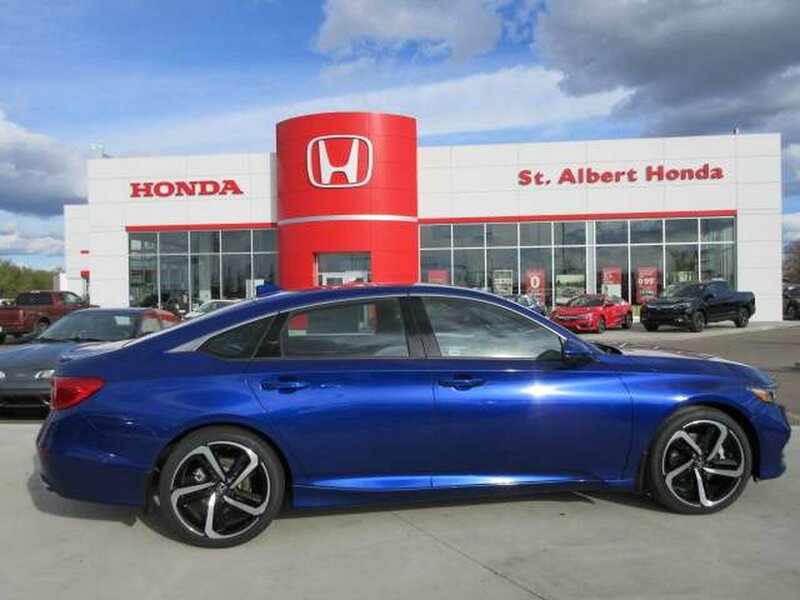 With a reputation for excellence, our 2018 Honda Accord Sport Sedan is shown in Still Night Blue Pearl! 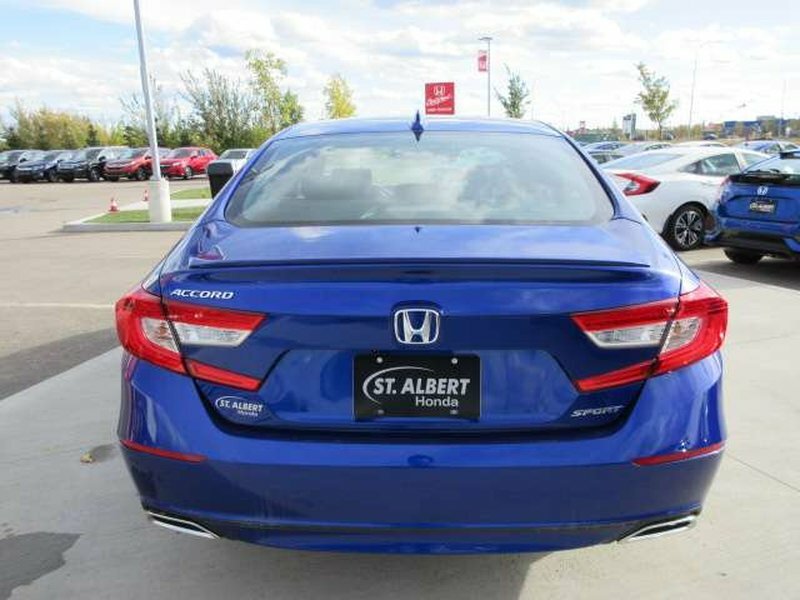 Fueled by a TurboCharged 1.5 Litre 4 Cylinder that offers 192hp while paired with Honda's famous CVT transmission. 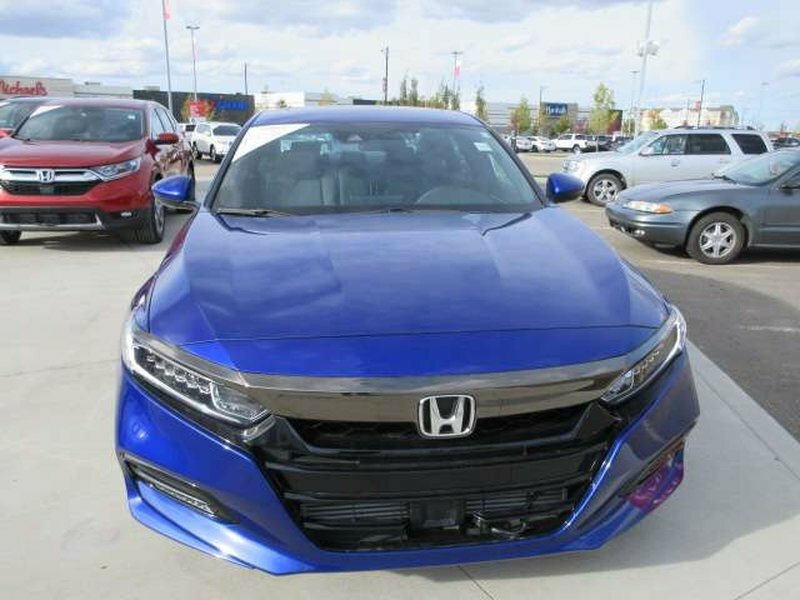 The Front Wheel Drive is dependable, exciting and ready to keep up with whatever mother natures has to offer. 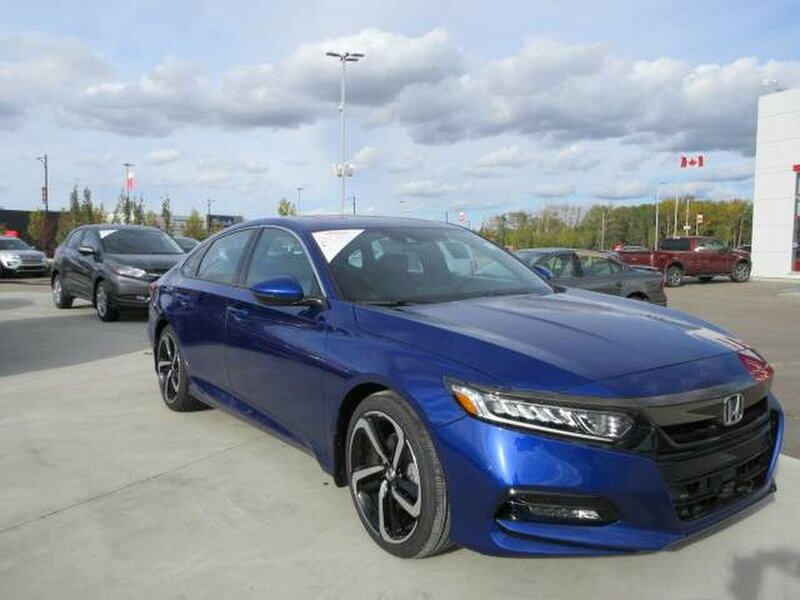 Our Accord continually sets the benchmark as the top-selling family sedan as it rewards its owners with near 6.2L/100km on the open road. 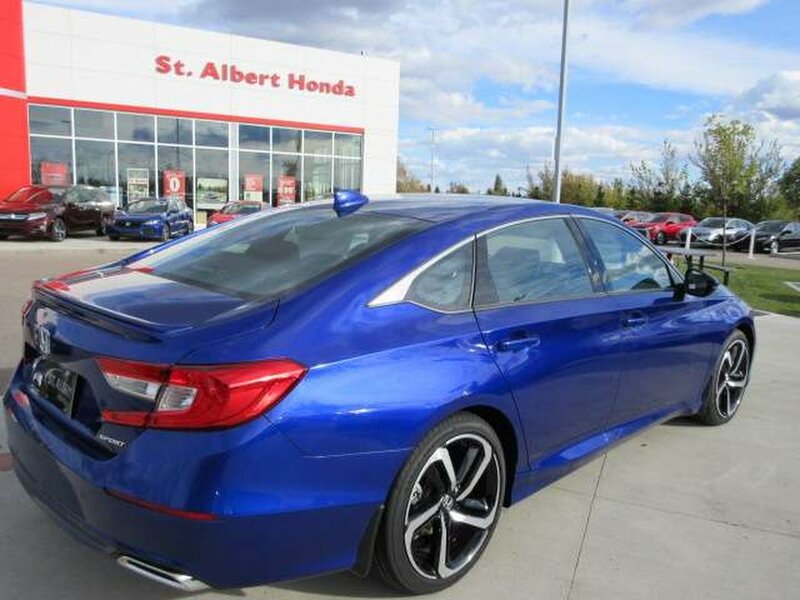 Sleek and stylish, the all-new standard LED fog lights, chrome exhaust finishers, a flashy rear spoiler, and distinct alloy wheels.